Looking for versatility in a warm jacket? 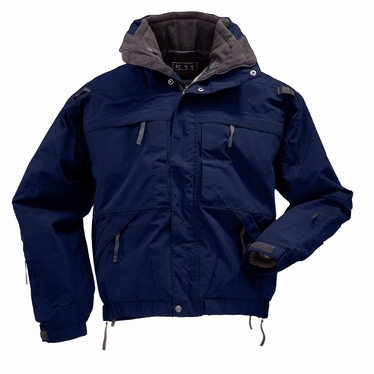 Our 5-in-1 Jacket offers tremendous value for such feature-packed outerwear. 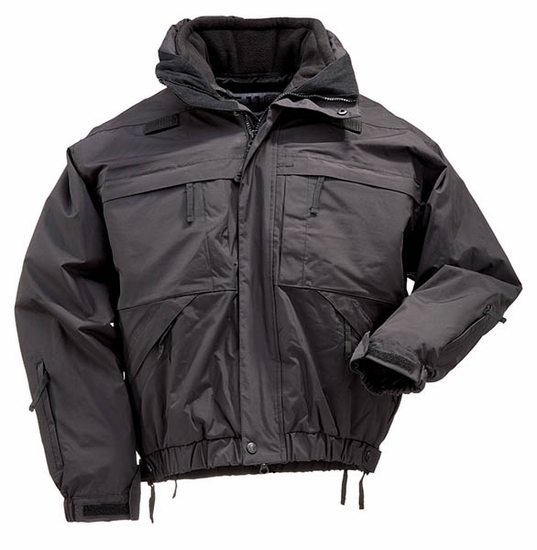 Designed with patrol in mind, this 5-in-1 Jacket not only keeps you warm, but also provides you with all the safety and performance you need. From immediate access to your side-arm to hidden ID panels, you will find that this 5-in-1 Jacket may be the only outerwear you need. This jacket is cut shorter than our 3-in-1 Parka and has an elasticized waist. The 5-in-1 Jacket comes in four colors and features our patented Back-up-Belt System™ for safely and securely stowing critical gear. Designed to adapt to different weather conditions the 5-in-1 Jacket will keep you comfortable in a number of weather environments. The waterproof and breathable outer jacket can be worn separately or with the fleece liner. Since the fleece liner has removable sleeves it can be worn separately so you have five different ways to stay comfortable in changing weather conditions. 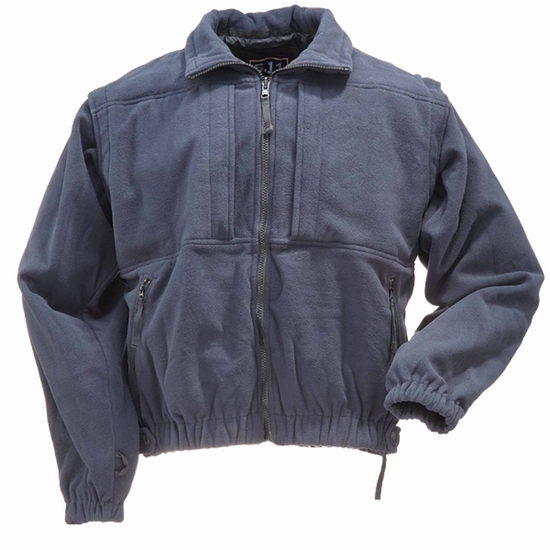 This 5-in-1 Jacket is a real performer under most cool or wet weather conditions.